Ferrari factory original 1997 Ferrari 456 GT & 456 GTA Brochure. This Ferrari brochure contains 40 pages with stunning photography. 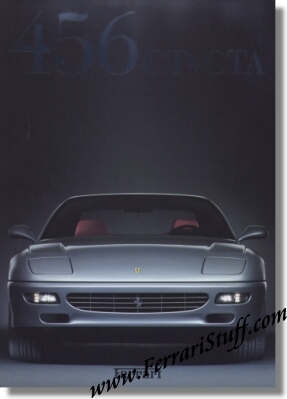 Ferrari Print Number 1149/97, issued in 1997. Printed by Puntografico spa Bs, Italy.